It seems that the fan base has turned on Donald Brown. I am seeing criticism from both bloggers as well as fans. 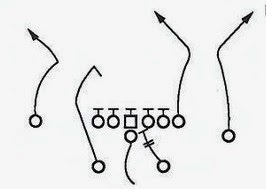 Criticisms center on the perception that he is not running hard and that he is not doing a good job blocking for the pass. There was some of this in last weeks podcast on Coltzilla.com. While I enjoy the podcast and feel they are well done, I have to take issue with their disenchantment of Donald Brown. They mention that Donald Brown is coming back from injury but that he should be fine because he has been practicing. Well, I'm not sure that is true. The Colts have not been having good practices due to all of the injuries. Manning has mentioned this multiple times in the last couple of weeks. And I think that Donald Brown is still hurt based on what I am seeing from him. He was out with a hamstring pull, which would definitely affect the leg drive of a running back. Also, we have no idea if he has some other undisclosed injury. With Addai and Hart out, I think that the Colts have broken form and asked a player to "gut it out" because they need someone who actually knows the offense out there. Also, if he was not hurt he would have been on the field for 90% of the snaps in the Philadelphia and Cincinnati games - instead of sharing time with off the street guys who only know a small part of the playbook. You simply cannot judge a running back by how he plays injured - and we are doing a disservice to a player that I feel is sacrificing himself for the good of the team.